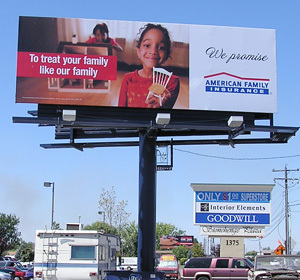 RMG Outdoor, Inc. has designed and produced all types, sizes and configurations of structures for the outdoor advertising industry. 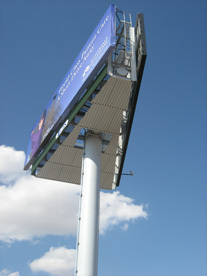 We are the billboard experts from initial concepts to final installations. From coast to coast and beyond. 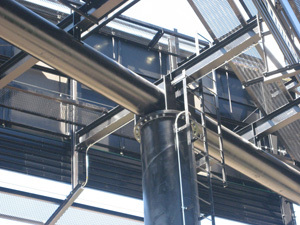 With our use of only the highest quality materials and superior support services, you’ll find that RMG products easily exceed industry expectations. 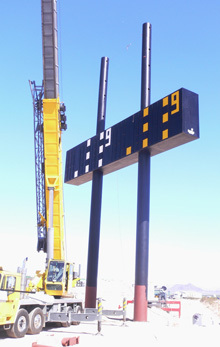 Installation of digital gas station signage in Texas.